We walked through alleys under the early morning sun, past the stalls in Chow Kit market to locate what was said to be “legendarily” good nasi lemak and pork porridge. 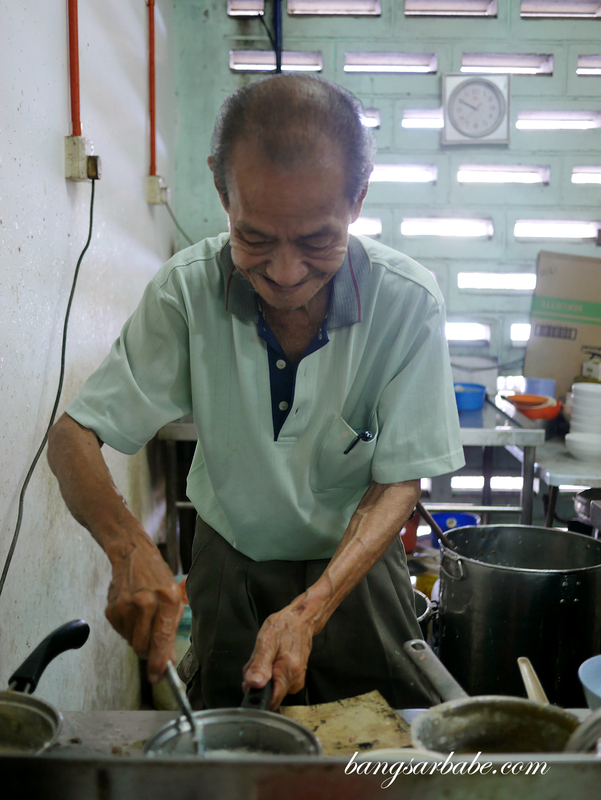 Only after 30 minutes of wandering around that we managed to find the nasi lemak stall in mention – I reviewed it here. 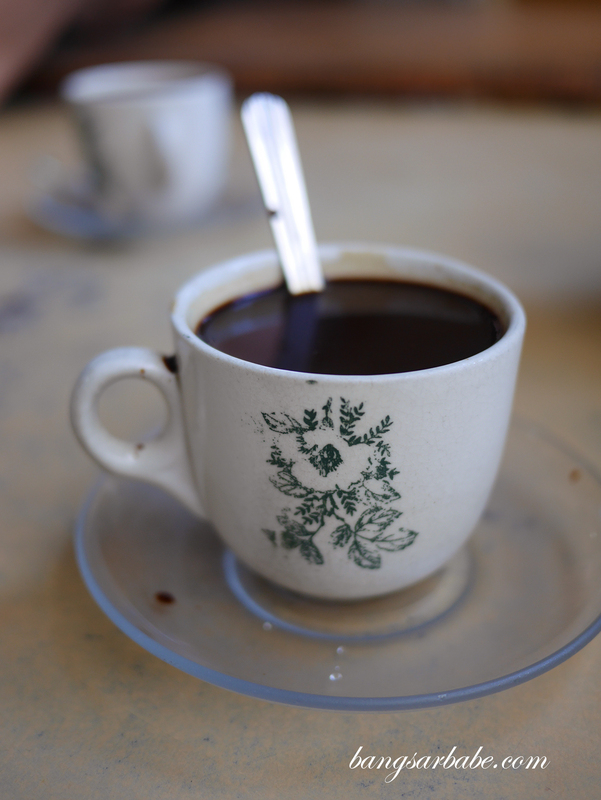 Kopi panas from another stall, where we were seated. While our friend waited in queue for this sought-after Malaysian favourite, the rest of us proceeded to find a vacant table only to discover the different territories and their requirements; you’ll need to order something from the stall in mention to secure a table. So hot coffee and can drinks it was. 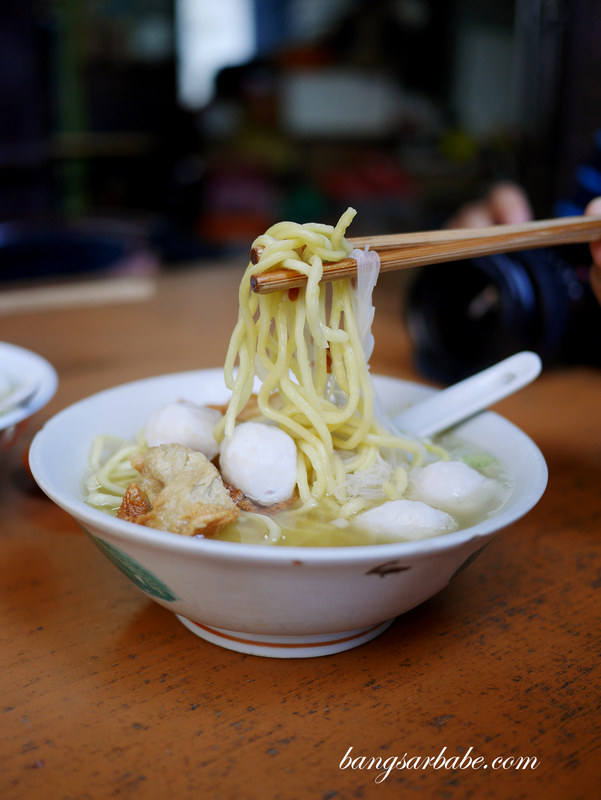 There was a beeline for one of the stalls nearby – an elderly couple serving fishball noodles. Being typical Malaysians, we assumed any stall with a line must serve pretty good food. I thought the noodles were average at best; both the soup and dry version. The chilli sauce was their saving grace. Upstairs from where the noodle stall is located, you’ll find a food court with more food options. Try the pork porridge from the stall on the right. 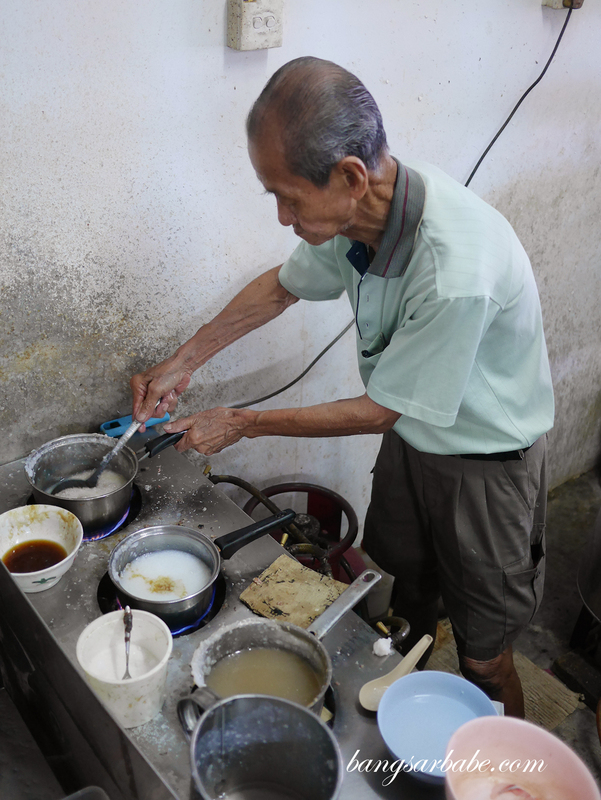 An old uncle mans the stove and he dishes up some pretty decent Hainanese-style porridge. The kind where the rice is boiled until broken, yet retains a grainy texture. 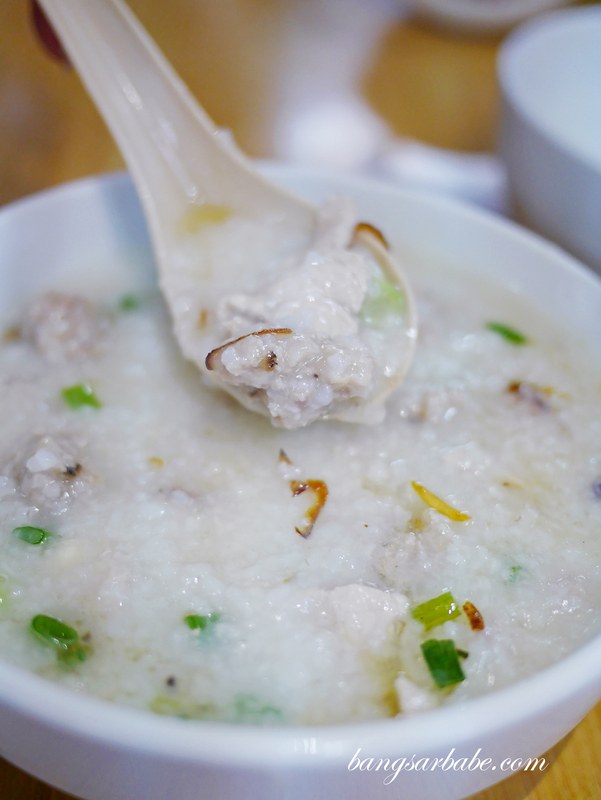 It’s different from Cantonese porridge, which is usually smoother in texture. Apparently, the uncle cooks each bowl in individual pots and the porridge is only flavoured upon order. So the large cauldron you see is basically plain porridge. We asked for pork porridge (with innards) and fish porridge. 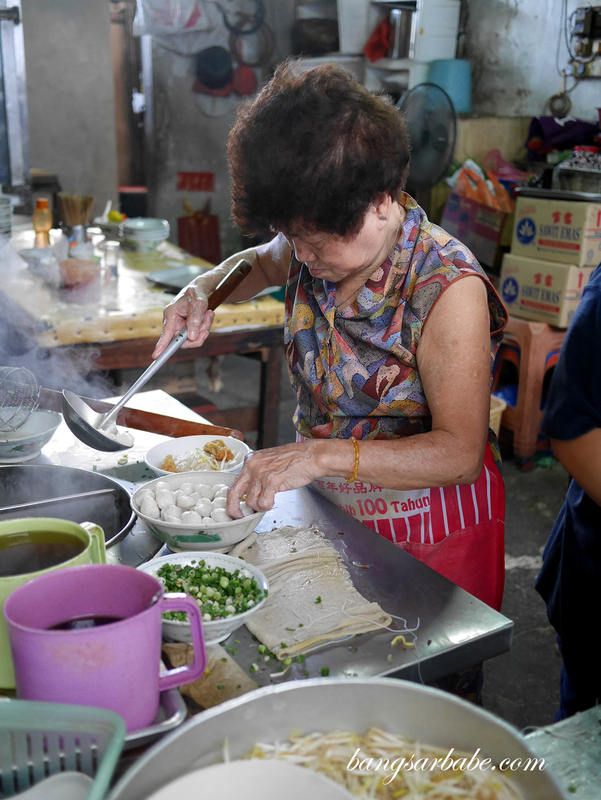 It takes about 10-15 minutes for the porridge to be ready – the uncle will turn up the flames and add the chosen ingredients into each pot and finishes off with a garnish of chopped scallions and pork lard. 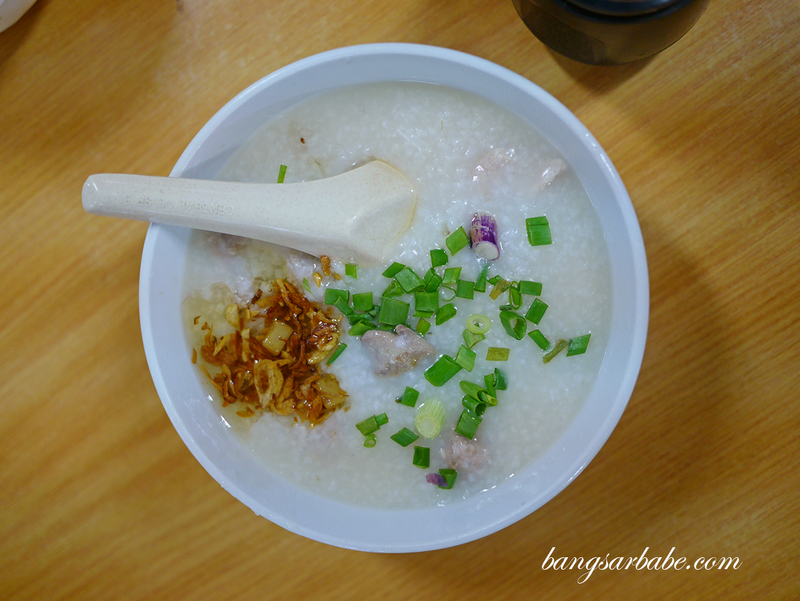 The porridge is thick and creamy, with good flavour from the meat, innards and lard. 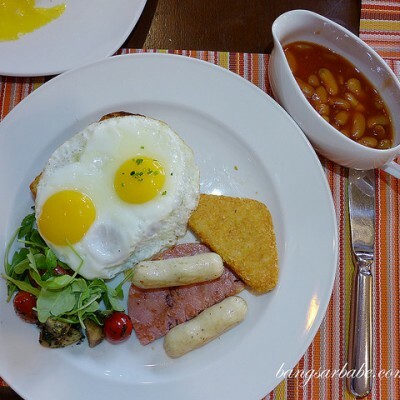 It makes a good comfort food option for an early breakfast. 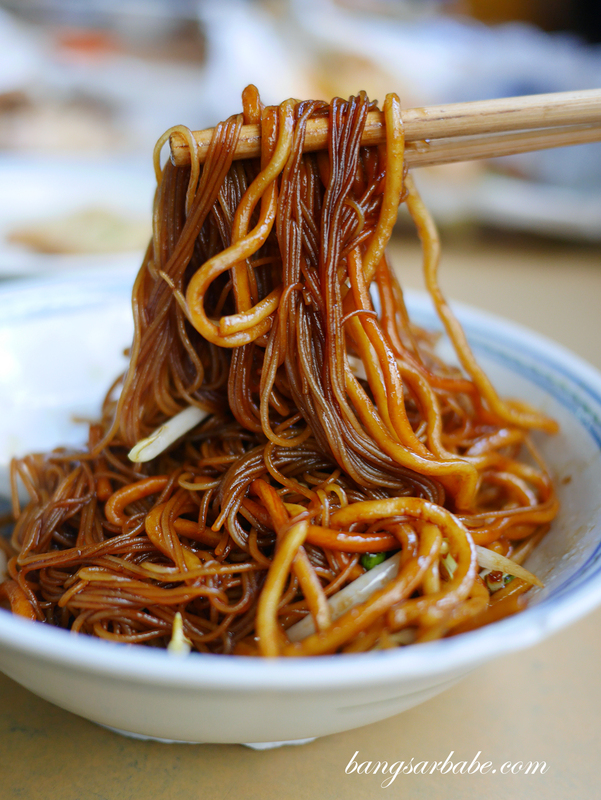 Eat this closer to noon and you’ll be wiping sweat off your forehead and neck. Note that they run out by 10.30am or so and closes by 11am, so it’s best to go there early. I don’t care much for the fish version but to be fair, the porridge is sweeter and lighter in flavour. 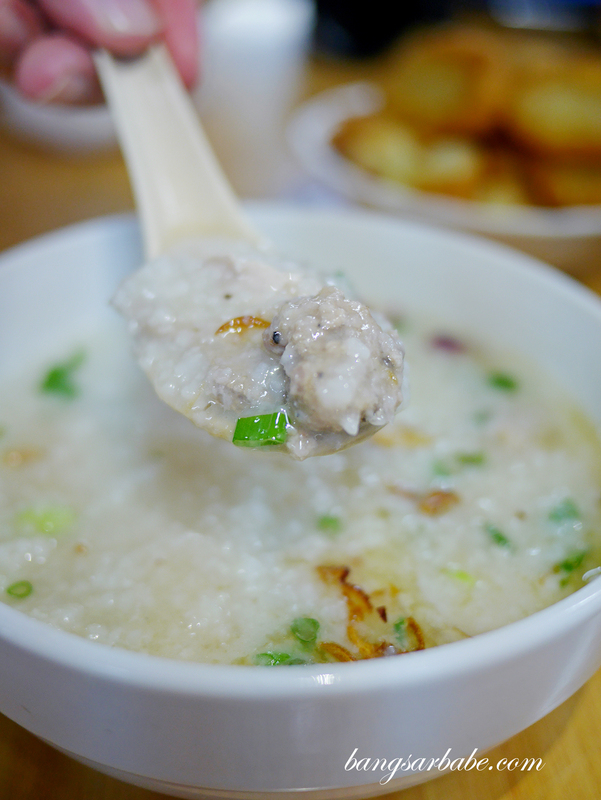 Because I’m plain greedy, I ordered another bowl of pork porridge, extra minced pork and no innards. That was the tastiest among the three bowls we tried. 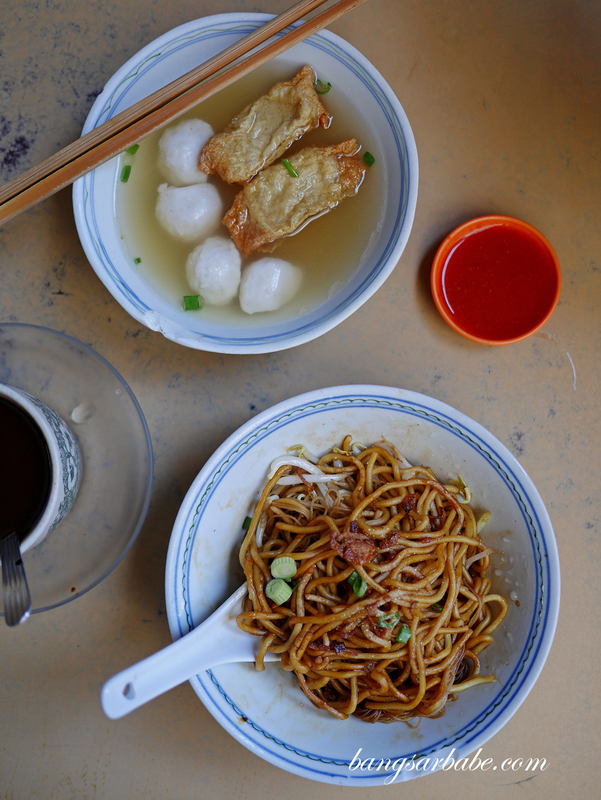 A bowl costs RM5.50 (small) and RM6 (large). 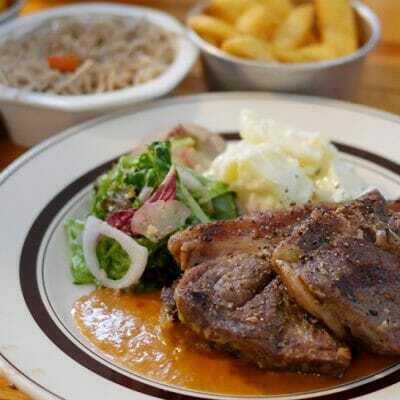 To add more meat, I think you’ll need to pay another RM1.50 or RM2. Still very reasonable if you ask me.